Brad Chapman is a renowned Vocal Coach and Production Guru whose 45 years of success in the industry have led to over 24 platinum records, multiple Grammy-winning clients and helped to shape the careers of music legends such as Michael Jackson, Stevie Wonder, Quincy Jones, Madonna, Anita Baker, Annie Lennox, REO Speedwagon, The Bangles, The Go Go’s, KISS, Motley Crue...and the list goes on. Chapman's signature style of training is also the secret weapon for many of today’s emerging artists, such as Halle Johnson ("American Idol," "The Voice") and Luca Tarqua (who has collaborated on projects with Chris Brown and G-Eazy). AXS had the opportunity to interview Brad from his busy Los Angeles studio and we got the inside story on everything from his own career success to what artists of every genre need to succeed in today’s highly competitive industry. AXS: Can you start by telling us about your background as a singer and musician? Brad Chapman: I started out playing horns in my elementary school band and in junior high I was promoted to the concert band until I decided to quit. The bandleader turned out to be kind of a monster and I was already kind of rebellious at that age and wanted to be in a “real” band. I ended up meeting a kid who played electric guitar and we decided to start a band with me singing and playing bass guitar. It was the 1960’s and at that time it was hard to find sheet music for popular music, so I basically taught myself guitar by listening to records and playing along. I continued singing and playing guitar with different bands throughout my teens, including a local band that was pretty successful. Then when I was 19, I started a Top 40 band called Celebration and I was the lead vocalist and guitarist. The band ended up doing really well. We were playing six nights a week at different clubs and concerts in cities all over the world. I continued doing this full time until I was about 28. 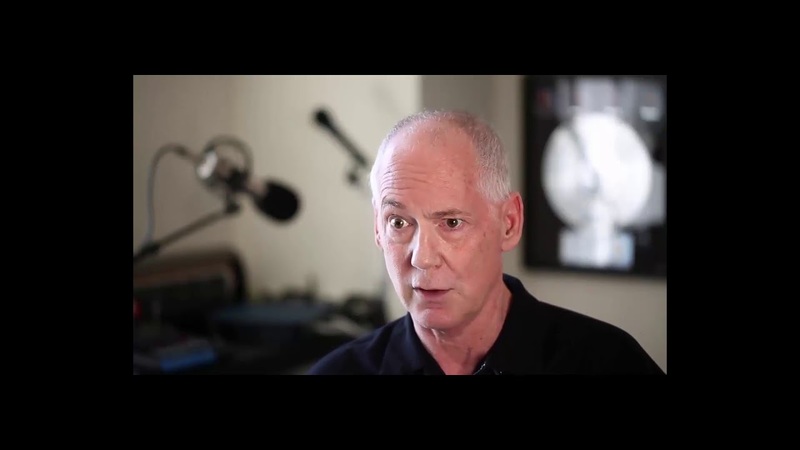 AXS: What caused you to switch gears and become a vocal coach? Brad Chapman: I got to a point where I realized that although I had a fair amount of success by music industry standards, I needed to do something more in order to go further. I knew I could sing pretty well but I wasn’t hitting the high notes, so I started taking vocal lessons with the legendary Seth Riggs. At that time most vocal coaches were known to be rigid, overbearing and constricted to opera training techniques. Seth had come from an opera background but he did not fit the stereotype at all. I immediately liked him because he let me learn the styles of music I wanted to learn. He had developed a training method called Speech Level Singing, which is for all types of singers to access their full range in a relaxed and natural way. I trained with Seth for three years and continued performing with my band. Then one day he asked me to be his associate teacher. I hadn't considered teaching before but I decided to give it a try and I ended up really enjoying it. So much that I started turning down gigs and teaching full time. We kept getting busier with more clients and it wasn’t long before Seth asked me to become his partner. It was an exciting time in music and we were working with some of the biggest names in the industry. Everyone from Barbara Streisand to Michael Jackson, Stevie Wonder, Madonna, Annie Lennox, etc. I continued working with Seth until 1987 and then opened my own studio. AXS: Today you’re known as one of the best in the business. What distinguishes you from other vocal coaches? Brad Chapman: The first major difference is that most teachers focus on technique and while it’s certainly an important aspect of singing, it’s not what makes a great performer. I believe the ultimate singer is the emotional singer, not the technical singer. Think of singers like Bob Dylan. They don’t question themselves about being sharp or flat or too nasally. They’re just telling their stories with honest emotion. I call it “Sing From Feel.” It’s something all great singers do instinctively and it’s immediately felt by listeners. I teach this to all types of singers and rappers, anyone who uses a mic. It’s getting to that place of true emotion and using the mic to become more intimate with the audience, whether it’s a recording session or a live performance. This emotional training is also what allows my students to develop their own style and to find their unique voice, which is essential to being a successful artist. AXS: What are some of the other techniques you use in vocal training? Brad Chapman: It really depends who I’m working with. Everyone has different roadblocks, different goals and different things that work for them, so I always tailor fit the training to the specific needs of each individual. For instance, I use vocal mirroring to help singers who want to develop their style. I have a variety of exercises to develop emotional expression and of course the core training techniques to help singers expand their range and increase their stamina for live performance. I also offer pre-production training in my studio to prepare clients for recording sessions. AXS: Can you share some insider advice for artists trying to break into today’s industry? Brad Chapman: Sure. The first most important thing is to find your unique voice and stay true to that. Know who you are and what you want to be and find a coach who gets that. The best coach is one who respects your genre and understands who you are and can bring out the best of you. My next piece of advice goes back to the heart and soul of a performer. The music industry has changed in a lot of ways, but audiences today are still seeking that raw, human, emotional connection. Of course, talent, technique, and marketing are important, but the heart is still the core essential ingredient of success.